TRANS GENERATORS PVT. LTD AIMS AT BECOMING A SINGLE WINDOW AGENCY FOR POWER GENERATION SOLUTION. A CONCEPT WHICH HERALDS A NEW ERA, A MARCH INTO THE NEW MILLENNIUM. Marketing, installations, testing & commissioning of DG sets & also providing service after sales with factory trained service personals. TRANS GENERATORS now look forward for a colorful beginning and an ever lasting Business with you for all your power solutions. At Trans Generators Sales of Generators, Spares Parts & Servicing DG sets. We deal with Greaves engines. We also provide rental of gensets in Bangalore Total solutions for DG SETS all under one roof. 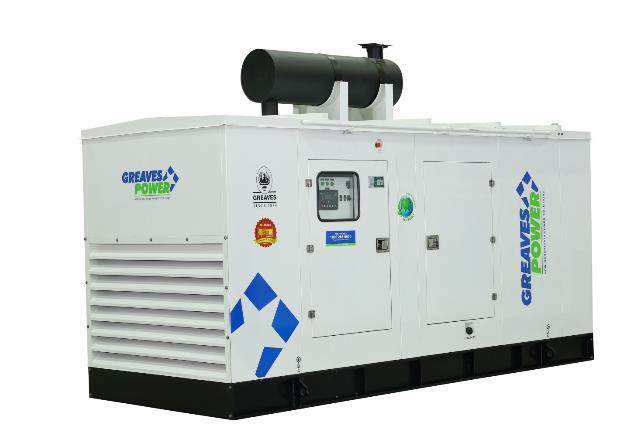 AUTHORIZED DEALER we are pleased to introduce our self as Trans Generator Pvt Ltd., One of the Authorized Sales/ Service and spare parts dealer for Greaves powered DG Sets, Sound proof DG Sets, Diesel Generators, Diesel Engines sound Proof Acoustic Enclosure and Electrical control panel. our target, though difficult, was clearly defined for any requirement from abroad our target was to achieve the quality, finish and packaging standard of the best brand available in the particular market. our huge industrial knowledge has enbled us to develop a fortune position in the market our experience has assisted us to achieve godd will and trust of our clients spread across the globe. AUTHORIZED DEALER FOR GREAVES COTTON IN BANGALORE PEENYA Trans Generators Private Limited is a dealer for Bharat Bijlee Havels, crompton greaves in Bangalore.